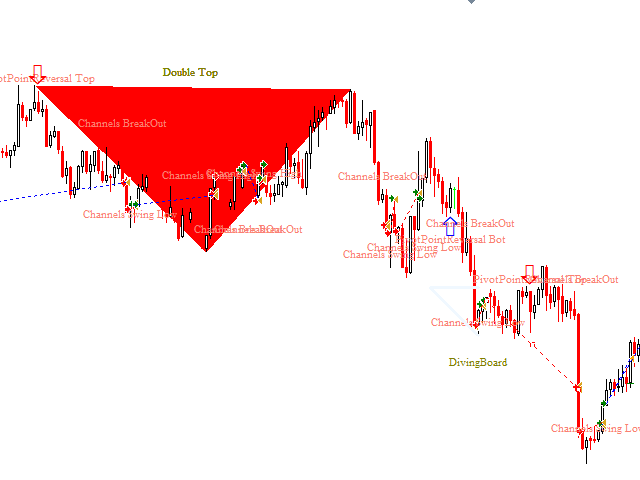 This is a Price Action Patterns EA. It can identify different variants of Price Action patterns ( About 8 Variants of Price Action Patterns ) and place trades on the kind of pattern identified and it also Draws and Labels the Patterns on Chart. The EA incorporates the possibility of automatically calculating the stop loss and take profit based on the type of pattern identified. In calculating the Stop loss, the user also has the possibility of using Bollinger Bands line drawn at the beginning of the Pattern formation as SL point. If the Auto calculation parameters are set to false, then the EA takes the manually set Fixed Stop Loss and Fixed take Profit values. 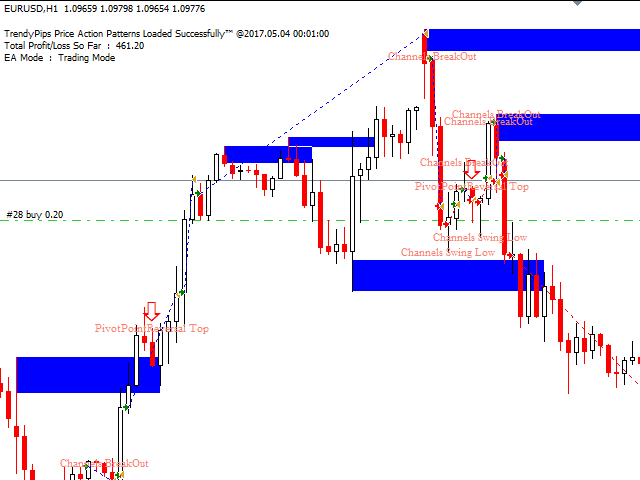 It also has Trailing Stop Loss functionality. The Customer can also Toggle ON/OFF any of the Patterns as they wish for full flexibility. All timeframes and Currencies are supported, but please note that it is recommended that you perform Optimization for best parameter settings. This Version 8.0 has incorporated the possibility of making the EA automatically calculate the stop loss and take profit based on the type of pattern identified. In calculating the Stop loss, the user also has the possibility of using Bollinger Bands line drawn at the beginning of the Pattern formation as SL point. If the Auto calculation parameters are set to false, then the EA takes the manually set Fixed Stop Loss and Fixed take Profit values.